Civil Structures that form part of Land Development projects. Talk to one our friendly staff now. Refer to Example Projects page for photos of our work. Inhouse Consulting Engineers is located in Western Sydney and we specialise in conducting structural engineering services all across Greater Sydney, Western Sydney and Blue Mountains. With over 30 years of experience, our skilled and professional team can precisely check your site for any potential problems and ensure you’re guarded against any issues for the foreseeable future. We appreciate that engaging a structural engineer might be a daunting prospect for you and something which may only need to do once in your life. The engineers at Inhouse Consulting Engineers have a range of expertise and are known by many names – structural engineers, residential engineers and even civil engineers. Therefore if you need a skilled engineer, get in touch with us. Structural engineers focus specifically on the structure of a building and ensure that the frame of a building is safe, functional and meets any safety requirements and building codes. Basically a structural engineer’s role is to check that the building you have designed and imagined will actually stand up. What is a residential engineer? As a residential engineer we are known to help the homeowner. Without the help of our residential engineers some homes around the greater Sydney and Blue Mountains area could experience movement problems, cracking and other inconveniences that come with poorly designed and built properties. Alternatively, if you are looking at renovating, adding a retaining wall to your property, or installing a swimming pool we can help with those projects as well. Don’t be fooled into thinking engineers only work on huge business developments or new builds. All enquiries receive the same amount of care and attention to detail. If we are utilised in the civil engineering capacity we can help with stormwater designs, water sensitive urban design (WSUD), culverts, concrete slabs for retaining walls and bridges. We have also worked with planners and provided foundations for viewing platforms and shelter structures in a variety of public locations. As you can see from the above variations of our skills, without the help of one of our engineers from Inhouse Consulting Engineers Sydney and Blue Mountains homeowners and developers dreams could be short lived before damages reveal unsuitable or inadequate construction methods. What kind of work can our range of structural/residential/civil engineers perform? 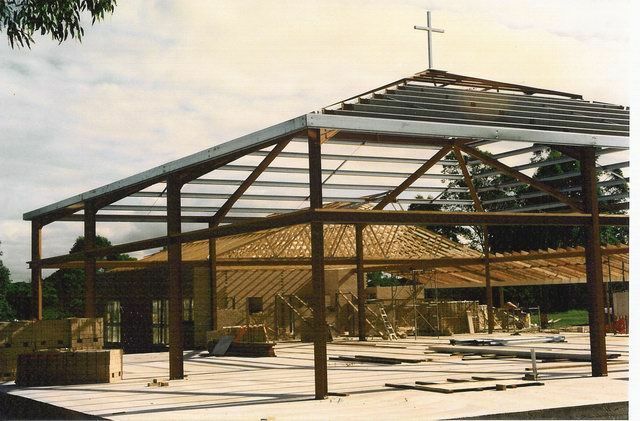 Our structural engineers in Western Sydney have been delivering quality building and structural solutions for over 30 years. We have been involved at every stage of the build process, and play an important role in the construction and design of a structure. The role of a structural engineer is not limited to new constructions, as renovations and extensions on existing properties will receive the same level of detail and care. We deliver the quality services of a building structural engineer that Sydney and Blue Mountains residents can rely on. Our structural engineers are just as at home on a commercial site as they are on a residential property. We understand using a structural engineer may be an unfamiliar experience for some of our clients so our team are here to talk you through the process in terms that are easily understood. Our range of services are varied and we appreciate each structure is unique, from residential extensions to large commercial new builds, we are here to make the process as easy for you and your building team as possible by providing high-quality drawings with every detail accounted for. We can create structural engineer reports in Sydney and drawings that builders and residents alike can understand and use confidently to repair, reverse or minimise structural issues.